Make your projects rock solid with the Prototyping Shield. 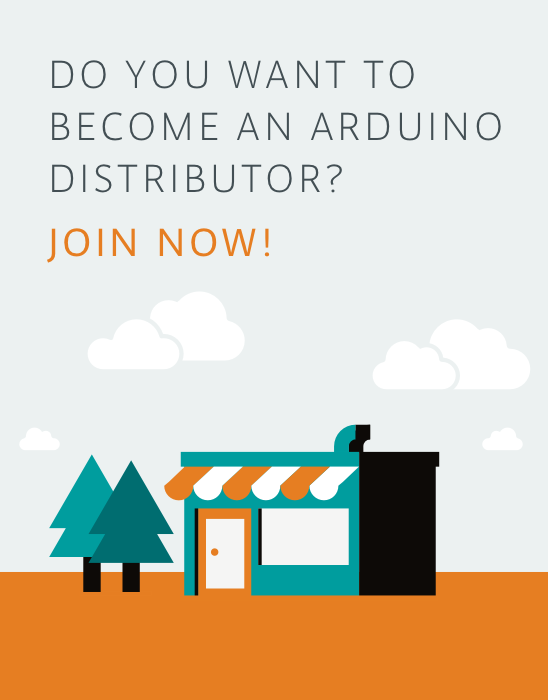 It makes it easy for you to design custom circuits and solder electronics directly on it. 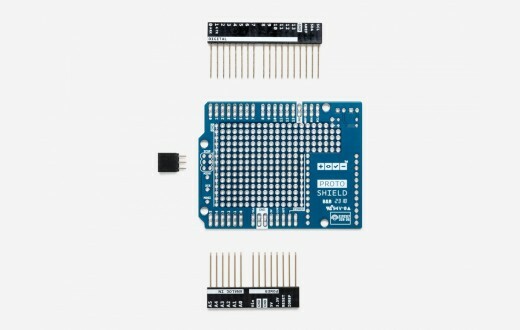 The ProtoShield makes it easy for you to design custom circuits. 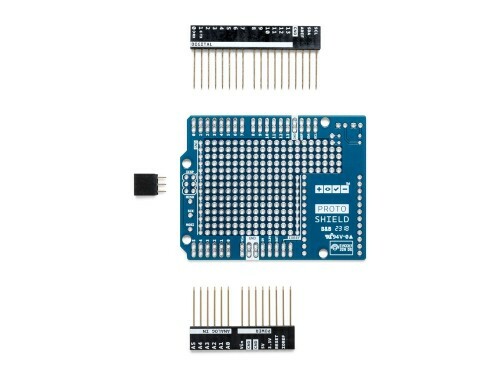 You can easily solder TH or SMD ICs on the prototyping area to test them with your Arduino board. The SMD area is designed for a maximum of 24 pins SOIC integrated circuit and the TH area contains a lot of space for the needed components around your project. You can even stick a mini breadboard (not included) on the protoarea for solderless operation. The proto area includes also two power lines (IOREF and GND), two LEDs pads and SPI signals breakout pads for boards with SPI only on the ICSP header like Zero. 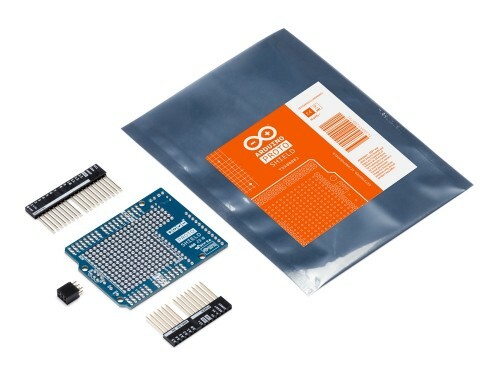 The Proto Shield bring the power from the Arduino standard IOREF and GND pins to the two power bus rows placed between the Through Hole prototyping are, which can be used for powering correctly your project independently on the chosen board (3V3 or 5V). On the ICSP connector only 5V and GND are wired to the respective pins on the header. MOSI and MISO are present only on the connector and on the near extra pads.